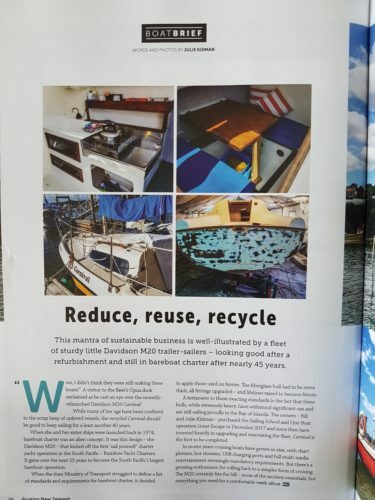 Our Davidson M20s epitomise the business sustainability mantra of Reduce, Reuse and Recycle and feature in Boating New Zealand April 2019 edition. 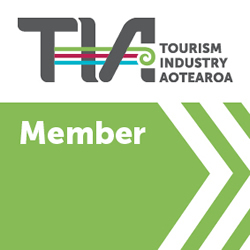 They have been in charter for over 45 years, these boats kicked off the first “sail yourself” yacht charter business in the South Pacific and are still in use today. A small cruising boat by today’s standards, they still have everything you need for a comfortable week afloat. And you’ll be anchored in exactly the same bea utiful bays as some of the multi-million dollar craft also bobbing about. 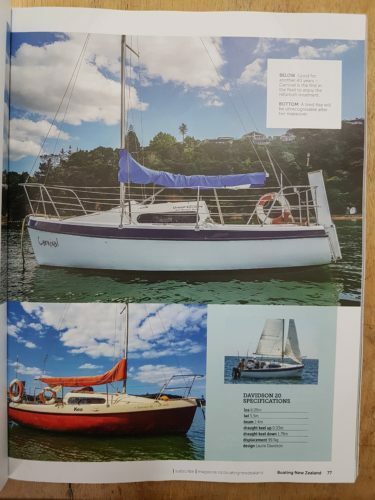 See Boating NZ April 2019, pp 76 & 77 for the full article.